I'm looking forward to Hunt: Showdown. Crytek's first-person bounty hunting game has players stalking supernatural prey in grimy, haunting environments. Its combination of twisted creatures and organic player-versus-player engagements speaks to me on an almost primal level. 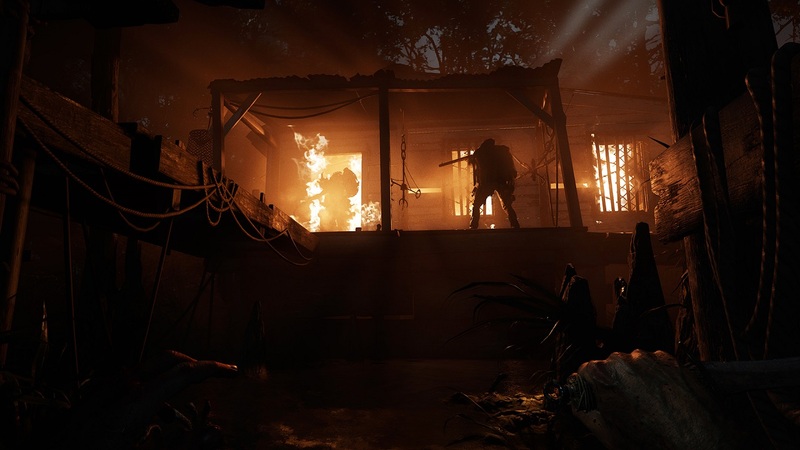 Though it'll probably be a while until Hunt: Showdown releases in earnest, developer Crytek announced that eager hunters would have a chance to stalk their otherworldly queries a bit earlier than expected. According to producer Fatih Özbayram, the game will come to Steam's Early Access platform because the studio "[believes] strongly that community-driven development is crucial to creating a great online multiplayer experience." Hunt: Showdown's Early Access version will serve as an open-development period for Crytek. Özbayram said in a recent press release that the Crytek "will be adding more gear, more monsters, more hunters, more game modes, more traits, crafting and further map variations throughout," as well as "collect feedback and work closely with the community." Currently, there's no set date for Hunt: Showdown's Early Access launch. The studio's wording is the always-cryptic statement of "in the future." Once Crytek announces one, you can be sure as hell that I'm loading up a lever-action rifle and hunting some supernatural spiders, though.